Introducing a newly formulated technology to help keep those knives tuned for smooth function. Start off with BlueLube cleaner to flush and prep the moving parts for a fresh application of BlueLube. 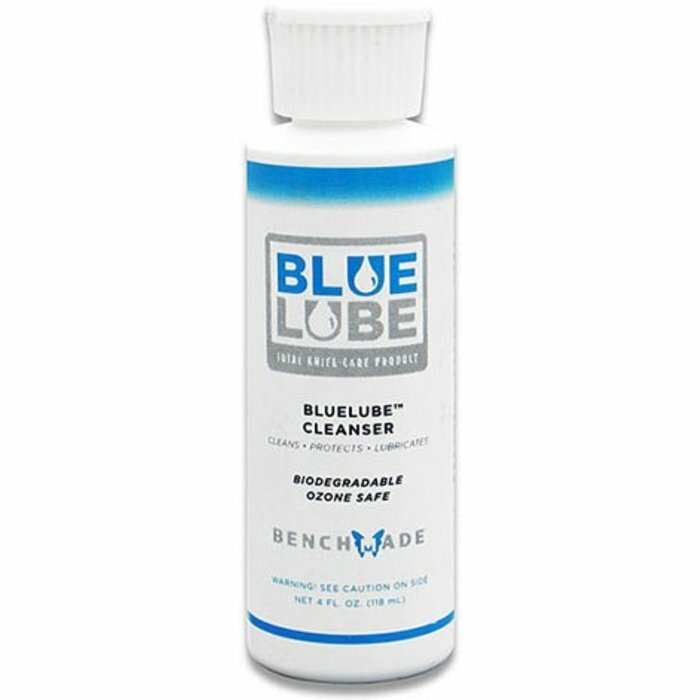 BlueLube not only lubricates, it prevents rust and corrosion, too. Both formulas work in tandem to enhance overall knife function and keep things moving like a well-oiled machine (without the build up).